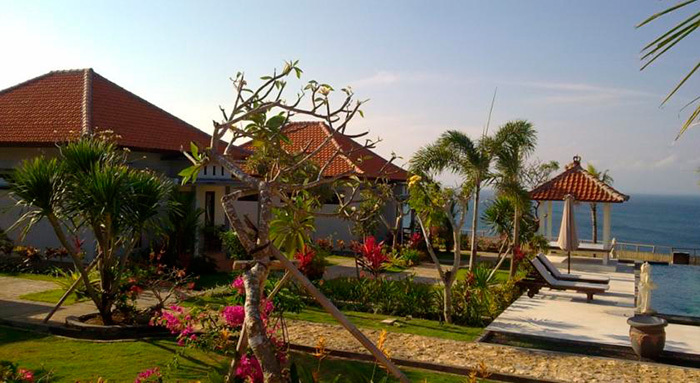 Uluwatu Cottages is located on the cliffs of Uluwatu, just 5 minutes drive from Padang-Padang beach. 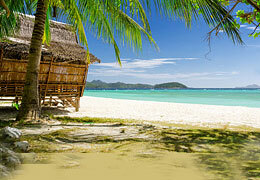 It is set in a strategic position to explore the several world class surf spots of the area. 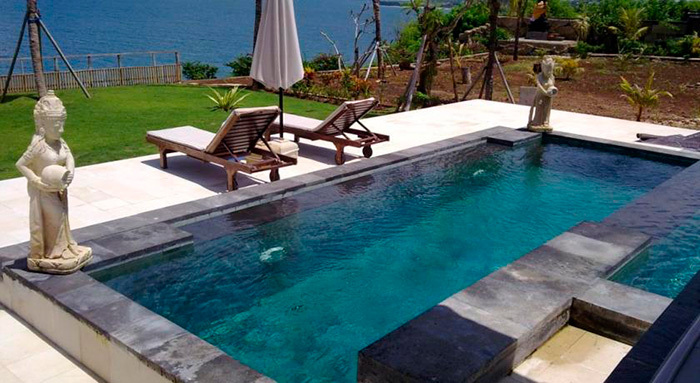 Uluwatu Cottages is just few minutes away from Dreamland, Impossibles and Bingin surf spots. 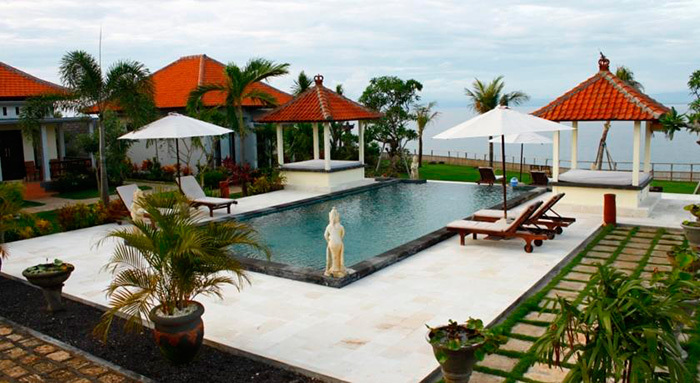 Uluwatu Temple is a 10-minute drive from the property and a 20-minute drive from Garuda Wisnu Kencana Statue. Uluwatu Cottages overlooks the sea and features a terrace, an outdoor infinity pool and an on-site restaurant that serves Indonesian and Western dishes. All rooms have a private terrace overlooking the sea, the gardens or the pool and are equipped with air conditioning, satellite TV and a private bathroom with shower. "Amazing view over the sea with the infinity pool in the perfect spot. Gardens are gorgeous. 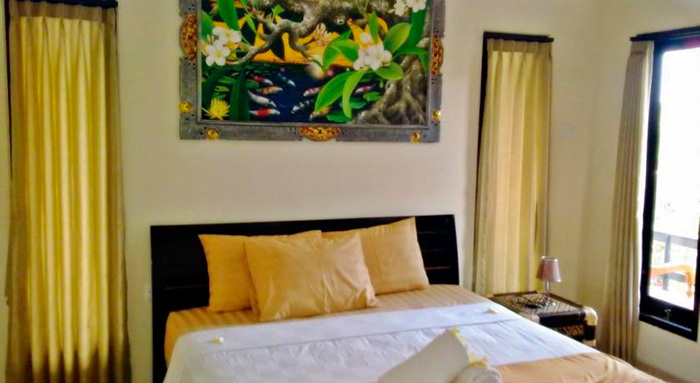 Rooms are spacious and have large adjoining bathroom and toilet/shower area. Hot water. Air conditioned. 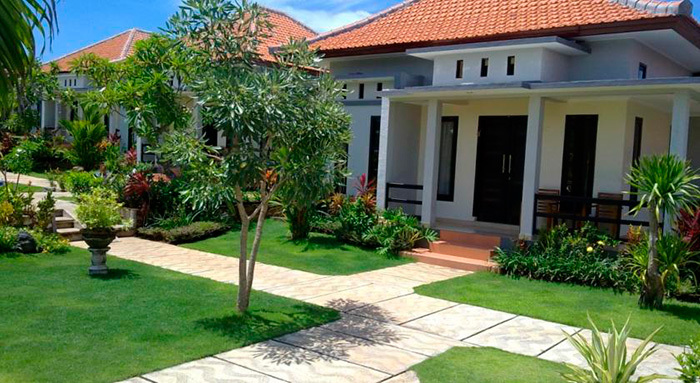 Quiet area (absolutely nothing like kuta or seminyak). It's a surfer's paradise. Calm. Single fun (a great big surfers bar) is only 10 minute walk away. There are a couple of other bars around. Jump on a scooter to get around. It's pretty safe in that area with not many cars around." "Nice price, warm welcome, excellent location with cliff view to the ocean, direct path to sea shore if you like surfing, big rooms. AMAZING!" 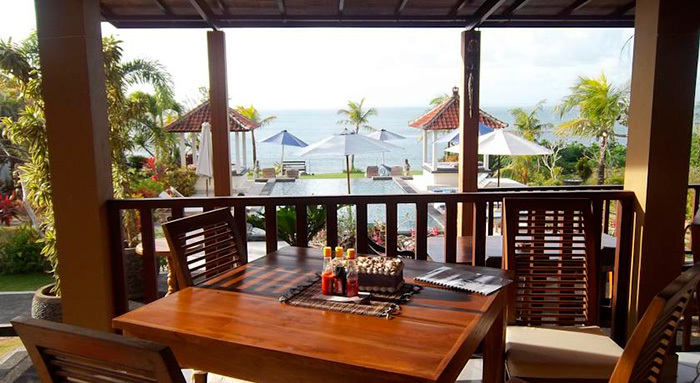 "Beautiful location on the cliff with views to some of the surrounding surf breaks and only walking distance to Uluwatu surf. Nice & quiet day and night. Catches nice breezes to keep cool."